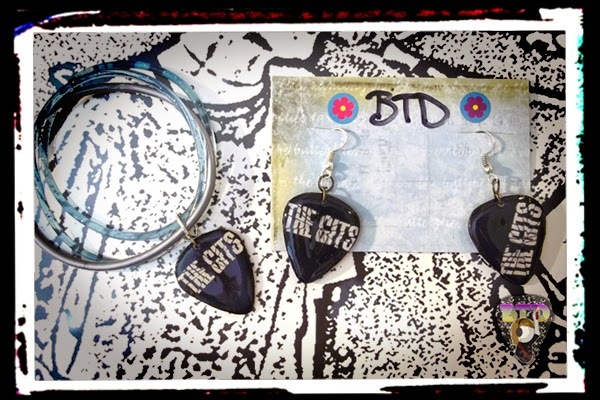 With the Gits guitar pick earrings and matching bracelet now sold, I wanted to let the readers know I can make more! I can make Gits logo guitar pick pendants for earrings, necklaces, pins and more. Just fill out the custom order form. ✔ Check out the Gits official website which I also built and maintain! I got permission to make Gits guitar pick jewelry from the band.